This happy mix of vibrant colors belong to a compact, 8 inch tall mounding plant that is early to bloom in just 8 weeks from germination. 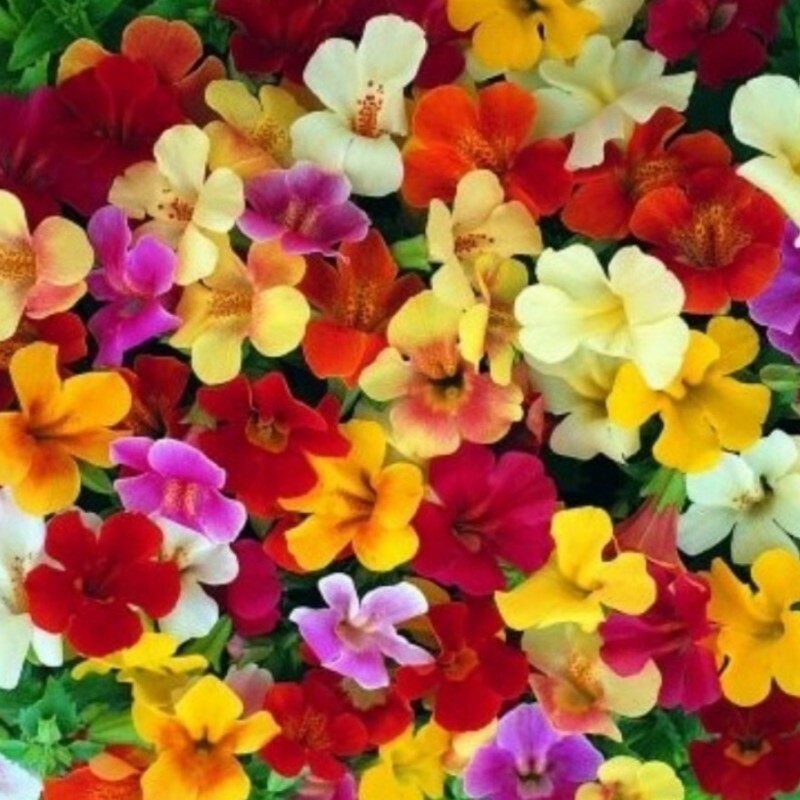 Excellent for all containers and bedding and is am ideal plant for moist or part shaded areas or full sun in cooler climates. A half hardy annual, Twinkle mix will bloom throughout summer and is easy to grow. Pkt. 50 . Sow March-May. Germinate at 68-86F on the surface of moist potting mix. Do not cover the seed. Place in a propagator or seal container inside a polythene bag until after germination which usually takes 10-21 days. Do not exclude light as this helps germination.